Selfie maker to attract the attention of your cat. Make the most beautiful pictures of your cat with this fluffy phone clip that fits every smartphone. The Kitty Phone Clip comes in three colors, you can not choose which color you will receive. Say "Aloha" to your very own Ukulele! This DIY kit contains all the pieces for your instrument and features smooth, unfinished wood to paint and decorate as you like. Inspired by Auguste Rodin's The Thinker, this pencil sharpener and desk sculpture rests his chin on his hand, deep in philosophical tought. Let his gesture inspire you to concentrate and keep your thoughts flowing while at your desk or work space. Flat multitool in the shape of a car. Fits perfectly into your wallet. Includes 11 functions such as position keys, saw blade, knife, bottle opener, can opener,... With handy keychain hole. Silver karaoke microphone, connectable to the mini jack-out of your smartphone. Ideal for recording your karaoke songs, wherever and whenever you want. And don't forget to film yourself or shoot selfies! 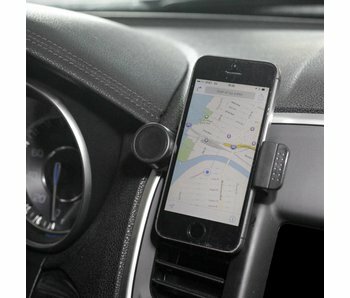 Car holder for your mobile phone. Click it into the air grille of your car. This way, your phone is within easy reach and perfectly usable as a navigation device. You can make hands-free calls by turning on the speaker of your phone.